11-year-old Alaya High, also known as Lay Lay, has reportedly become the youngest female rapper to sign a record deal with a music label. On Wednesday, The Houston native took to her Instagram page to announce that she had signed with record label Empire. “It’s official!!! I am the YOUNGEST FEMALE RAP ARTIST to sign a record deal,” she wrote. It’s official!!! I am the YOUNGEST FEMALE RAP ARTIST to sign a record deal??? I would like to thank my fans @empire @queenalphashawn @buttamurphy @djcone and my DAD @aciehigh_aciehigh44 for making this possible. Look out for my first single “Go Lay Lay Go” ALBUM ON THE WAY!!! ???? The young artist also revealed she will be releasing her first single, “Go Lay Lay Go,” which is off of her upcoming album. “I would like to thank my fans @empire @queenalphashawn @buttamurphy @djcone and my DAD @aciehigh_aciehigh44 for making this possible. Look out for my first single “Go Lay Lay Go” ALBUM ON THE WAY!!! ,” she added. 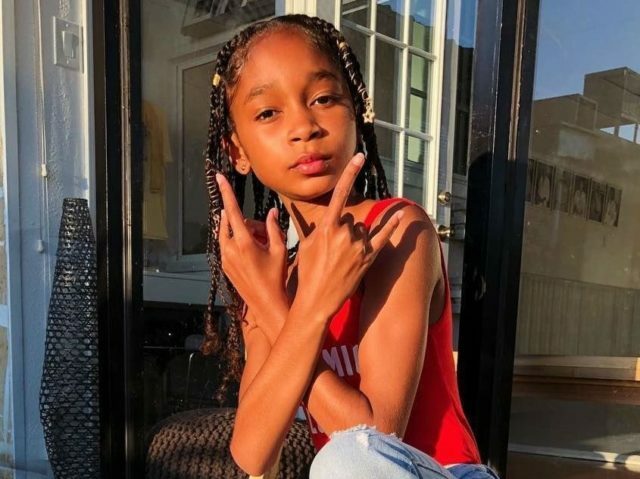 Alaya went viral in May when her freestyle over BlocBoy JB’s “Shoot” went viral on social media. Hear the freestyle rap that garnered her fame below!